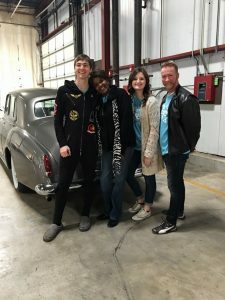 Vista Host Inc. | In the Community - Vista Host Inc.
Homewood Suites Nashville Vanderbilt is immensely proud to partner with the Monroe Carell Jr. Children’s Hospital at Vanderbilt. 5% of every reservation that is made on property with the University or Medical Center is given back to the Children’s Hospital quarterly. In the three short years that this collaboration has been taking place, almost $50,000 has been raised and given back! By working closely with the Medical Center, a contact has been made with their Senior Director of Community Development. 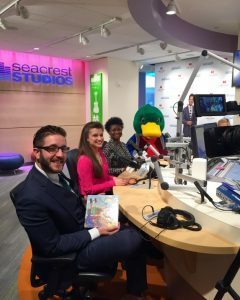 This past February, she has put the hotel in touch with the Seacrest Studios at the Children’s Hospital. She had given the hotel an opportunity to participate in one of the daily programs on air that is broadcasted on the hospital’s closed-circuit television channel. 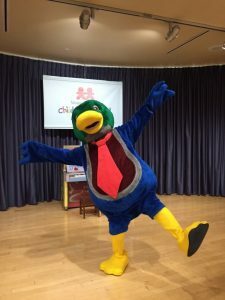 This program is streamed into the kid’s rooms, through various departments at the hospital, and even to several other hospitals around the country. 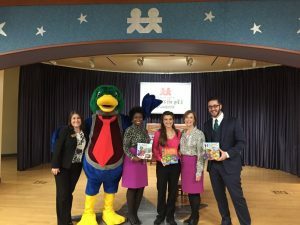 On Thursday February 16th, the hotel read the kids some of the Lewis the Duck books, and Lewis the Duck himself came for an appearance! 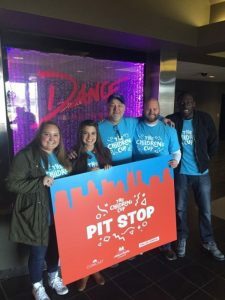 The relationship between the hotel and the Children’s Hospital is highly valued, and the Homewood Suites Nashville Vanderbilt is honored to be a part of something bigger than itself. 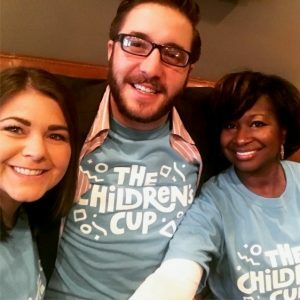 The Nashville team of Vista Host hotels dedicated several hours of their time on Saturday February 25th, 2017 for the 3rd Annual Children’s Cup, benefitting the Monroe Carell Jr. Children’s Hospital at Vanderbilt. This event raised over $200,000 and cumulated in a day-long race around Nashville. Teams competed in singing challenges, dance video challenges, clue deciphering, and much more! The hotels provided all of the volunteers needed to work the pit stops, lending a helping hand, cheering teams on, and communicating with the Vanderbilt representatives on-site. The relationship between the hotels and the hospital is mutually-beneficial, and one that will carry them both on for a long time to come. We are proud to support St. Jude Children’s Research Hospital.